Growing up in the Chicago projects in the late 40s and early 50s, Jerry Butler and Curtis Mayfield met during their adolescent years singing in a gospel choir, The Northern Jubilee Gospel Singers. "All people who sing probably started in church," Butler once said, "because that's one place you can be good or bad and somebody's gonna say, 'Amen.'" 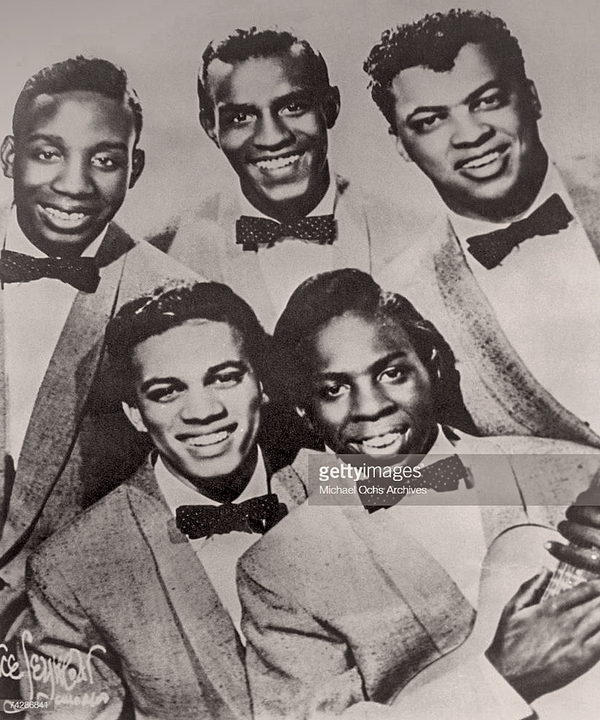 (2) Butler tried his hand in secular music in his mid-teens when he briefly joined a doo-wop group known as The Quails. Meanwhile, Mayfield, three years younger than Butler, was singing and playing guitar for The Alphatones at 14 years old. In 1957, Sam Gooden, brothers Arthur and Richard Brooks, three members of the quintet, The Roosters, moved from their hometown of Chattanooga, Tennessee to Chicago with hopes of landing a recording contract. The group, looking for two replacement members, added Butler whose recommendation of Mayfield, completed the Chicago version of the group. L-R bottom row: Arthur Brooks, Curtis Mayfield, L-R top row: Jerry Butler, Sam Gooden, Richard Brooks. When successive singles over the next few months failed to match the success of Gypsy Woman, Richard and Arthur Brooks left the group in 1962. Now a trio, Mayfield moved the group back to Chicago and turned to producer Johnny Pate, who helped the group update their sound. Augmenting lush sounds with horns and Mayfield’s falsetto voice, the Impressions scored a mild success with Sad, Sad Girl And Boy. 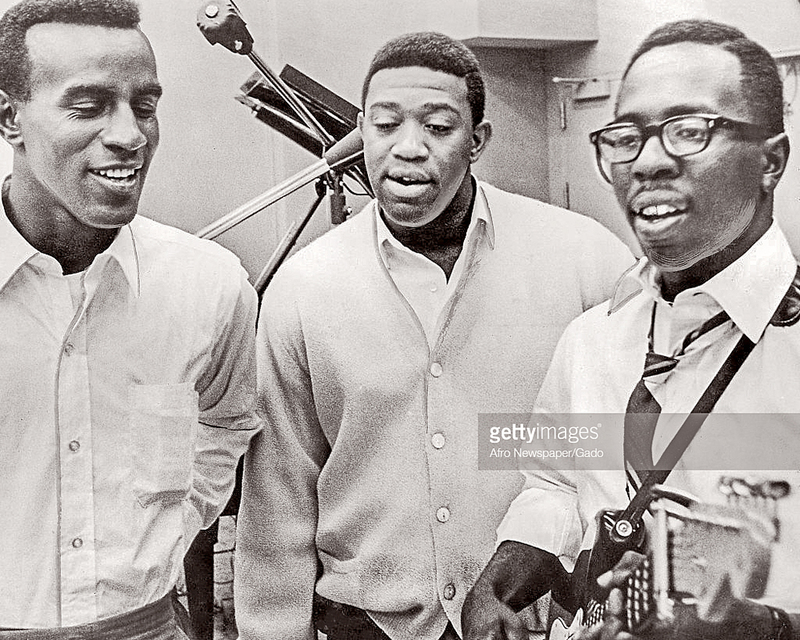 L-R: Fred Cash, Sam Gooden and Curtis Mayfield circa 1965. Photo courtesy of Afro Newspaper Gado/Getty Images. Mayfield pursued a solo career in 1970. In 1972, he hit the top ten with Freddie’s Dead and Superfly, both songs featured in the movie, Superfly. (10) Curtis Mayfield passed away on December 26th, 1999. 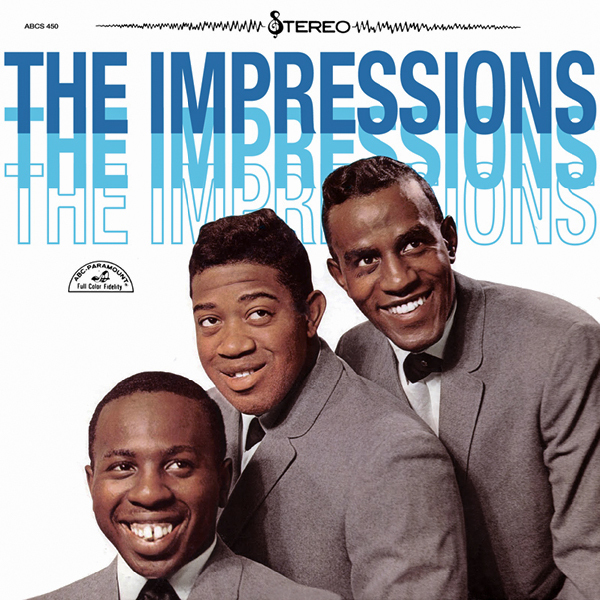 The Impressions lip-synch It's All Right in this 1965 episode of Hollywood A Go Go. From a 2004 live concert in Chico, CA, Huey Lewis and the News perform an a cappella version of It's All Right. 1) Mayfield, Todd, with Travis Atria, Traveling Soul: The Life of Curtis Mayfield, 2017, Pages 94-95. 2) Cox, Ted, Chicago Reader, Jerry Butler: Soul Survivor, April 7, 2011. Link. 3) Whitburn, Joel, Top Pop Singles 1955-2002, Page 334. 4) Whitburn, Joel, Billboard Pop Charts 1955-1959, Pages 52-53. 5) Rolling Stone's 500 Greatest Songs of All Time. Rolling Stone. April 7, 2011. 6) Kot, Greg, Chicago Tribune, The Impressions keep on pushing, June 28, 2012, Link. 7) Whitburn, Joel, Top R&B Singles 1942-1999, Page 204. 8) Phillips, Richard, World Socialist Web Site, Curtis Mayfield Dies: A Modest Man Of Great Musical Talent And Sensitity, January 24, 2000, Link. 9) Burns, Peter, Curtis Mayfield: People Never Give Up, January 13, 2003, Pages 24-25. 10) Whitburn, Joel, Top Pop Singles 1955-2002, Page 453. 11) Butler, Jerry with Earl Smith, Only The Strong Survive: Memoirs Of A Soul Survivor, 2000, Page 40-50. 12) Butler, Jerry, Page 59. 13) Butler, Jerry, Page 65. This LP included their first six singles including Gypsy Woman and It's All Right. Album art courtesy of DaGuy from the Album Art Exchange website.